Welcome to WSJ readers! I am honored you took the time to check out my blog. Here is a link to my opinion piece in Monday’s Wall Street Journal. (Apologies- it is behind a paywall). Not talking is not the same as not thinking. The American Speech Language Hearing Association, or ASHA, insists that the true voice of nonspeaking autistic people is best left to pictogram systems and garbled speech. Here is their brief video statement. Here are films of people with autism who have broken free by learning the methods ASHA disdains. Please note, there are motor challenges in autism, as evident in the films. Here is a link to an organization of professionals, autistic people, families and others who dispute this harsh judgment and believe the communication of these individuals is their “true voice.” Take a look at the different films and decide for yourselves which seems more logical- a mistaken autistic person not understanding his own disability, or a potentially mistaken professional. 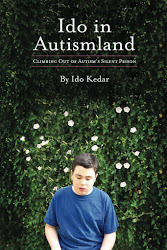 To gain an insider’s POV into autism, please consider reading my books, In Two Worlds and Ido in Autismland. This entry was posted in advocacy, American Speech Language Hearing Association, ASHA, autism education, autism theories, autism treatments, barriers, Communication, speech therapy, typers, Wall Street Journal. Bookmark the permalink. I came to your blog as a WSJ subscriber, simply to send my admiration for your clearly and beautifully written article, which the paper rightly displayed on the page opposite editorials. I often do not read such “opinion” or “feature” articles, but I think the point you make so well is that there is a medical and scientific issue involved here which deserves attention and will benefit a specific population. In my opinion this applies to very specific neurological deficiences in controlling the speech mechanisms which, as you point out, may never work effectively for the person involved. Other candidates for your recommendations would seem to me to be victims of very specialized neurological damage, such as victims of accidents and strokes. It seems strange to me that any community involved with speech therapy (such as ASHA) would NOT be interested in the neurological implications clearly shown by your ability to understand others and provide input by means other than verbal speech. The first goal of therapists should be to determine whether a patient can be involved in any type of COMMUNICATION. After that the METHOD of communication (speech or other) can be worked on. It is very sad that you have been capable of communication since early childhood and that there was so little help available (not to mention obstruction) on your path to self-expression. I have always found expression through printed language to be one of the most beautiful attainments in human history. THANK YOU for an excellent article on an interesting subject. Wow! My dad read me your piece today from the Wall Street Journal and we both cried. I was hoping to be able to contact you to tell you just how beautiful I thought it was and how important it was for me at this point in life. My four year old son has been diagnosed with autism and it has been a rough journey for me and my family. I am a physician and come from a family of doctors and this diagnosis was so foreign to us. My son is the sweetest, most loving boy. He is obsessed with letters and is learning to spell some words. Your story gave me so much hope. I can’t stop thinking about your incredible journey. Just bought your book on amazon but please don’t stop writing. You are helping those of us completely lost in this scary world. Powerful words!! So glad it was published and will be widely read! I am deeply grateful for your article in the WSJ. My wife and I have an 11 year old son who cannot speak. Like you, he has been diagnosed with apraxia and a language processing disorder, though unlike you, he’s never been diagnosed with autism. He’s very intelligent, and he clearly understands language well. When I read great literature to him, say, The Lord of the Rings Trilogy, he laughs at the funny parts and gets scared at the scary parts. His reactions are spot on. He just can’t speak–even with physical, speech, and occupational therapy. If you get the chance to answer (by email would be best), I have a few questions for you. How was your diagnosis reached? Were you delayed in other areas as a child, like walking, bicycling, etc? How did you learn to read when you couldn’t pronounce the words? And though I understand you aren’t a physician, what would you recommend we do for our son? Thank you, and G0d bless. My mom will be sending you an email. Your article was inspiring! Thank You for writing it – we need to make more people understand that there are tremendous capabilities in people even if the handicaps are what we see first. You have more talent and gifts than the average person and I am so glad you are using it to educate others. Please keep at it! Mr. Kedar — is it possible that youngsters with nonspeaking autism and difficulty in controlling their hand position could use Morse Code to enter text on a touch-to-voice tablet? It would certainly be easier for the child to choose between “dot”and “dash” positions to form letters, and thus words, than to land on the area of the tablet that represents a letter. I also used to look at letters when I was little. Morse code wouldn’t work because motor control problems affect rhythm too. My mom is going to email you to answer some questions. 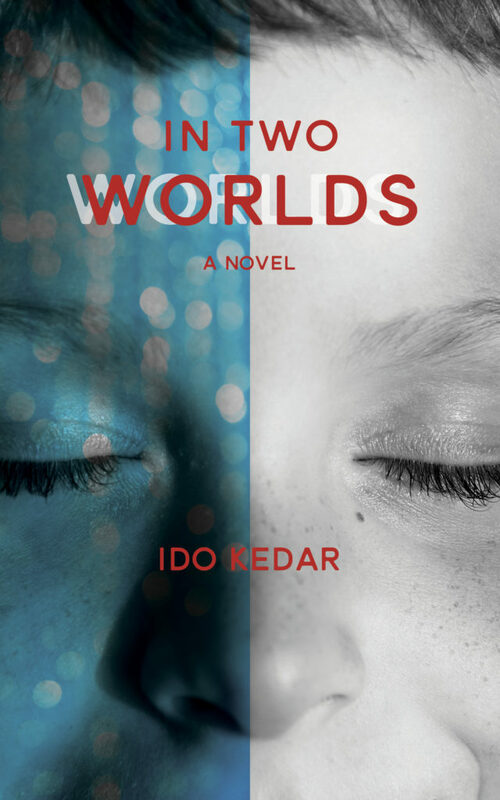 I am so very pleased your work is reaching a wider audience Ido. Especially on this important issue. I am in the UK , and as far as I am aware no official statement has been issued as yet. However , the same attitudes are all too apparent. I have found it is best to hide the fact that I do RPM with my son from most professionals . Soma describes in one of her books how she used to smile and nod, and then go away and do her own thing. This advice has been invaluable. But I am so grateful that there are those who are making the argument in the public arena. Thank you. I was really moved by your piece in the WSJ. My feelings exactly. I am a 16-year old non-speaking autistic guy and I can relate to your words. My work with RPM began two years ago. My ability to spell my thoughts has transformed my life. I am so thrilled to be able to make my thoughts known. I feel more in control of my life. In the past, I never was able to communicate my most basic needs. When ASHA made their decision to speak out against RPM, I was so saddened. So frustrating to be deemed a mere puppet spelling out my mom’s thoughts. I wrote ASHA a letter like many others. Deaf ears, anyone? We will prevail though. ASHA will fall by the wayside as they continue to fail autistic people like us. We will move the world into a new era of understanding. And our supporters, communication partners, parents and allies will someday usher in a replacement for ASHA, with you and I and other non-speaking autistics leading the way. Thanks for your note. You just needed to find a way to get all your ideas out and I’m so glad you were liberated. The big change will occur when the true nature of our disability is understood, once and for all. I honestly believe it needs a new name to help clarify that it’s totally different from an inability to read people or understand words.